It’s certainly been an interesting last few years when it comes to the Batman-Bane rivalry, now hasn’t it? Perhaps The Dark Knight Rises’ theatrical release can be partially credited for giving it a much needed kick in the pants, but it did have to rear its head again at some point. 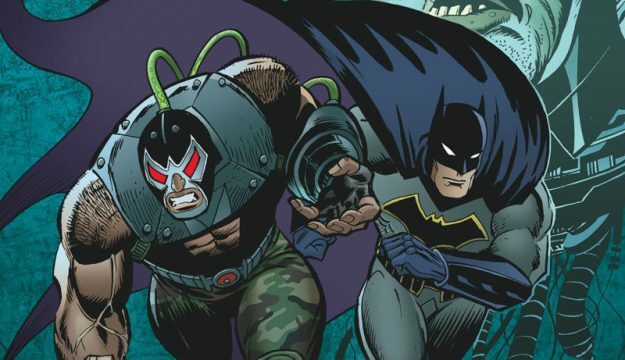 In the time since, the comic book realm has seen Bane make life a living hell for both the Caped Crusader and the Joker with the miniseries Batman: Europa and, more recently, tales such as I am Suicide and I am Bane wrote new chapters in the never-ending feud. And, from the look of it, Bane: Conquest will make its own contribution. To be honest, we don’t expect Batman to appear all that often in the upcoming 12-issue limited series, but it’s hard to not touch on their rivalry even in the slightest, especially since we’ll be examining things from the villain’s point of view. 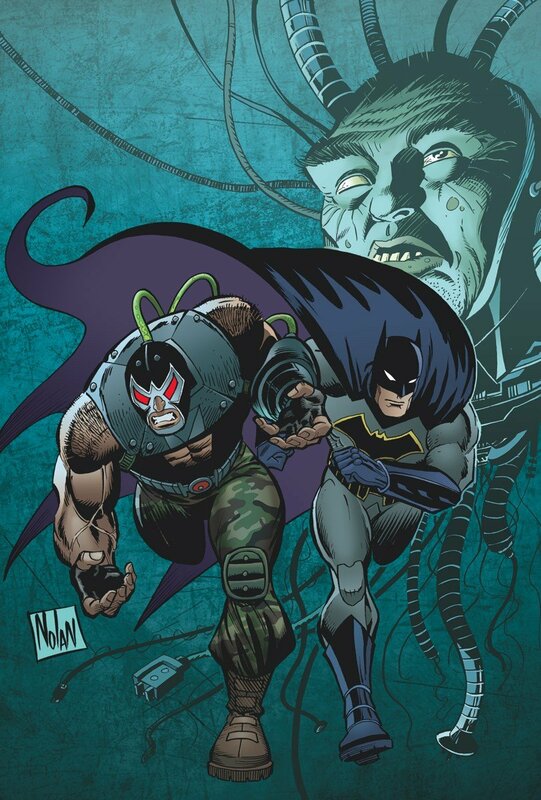 Plus, you have the added appeal of Bane’s original creators – Chuck Dixon and Graham Nolan – making this story a reality. Suffice it to say, this should be a real treat for Knightfall fans. But when it comes to what will force the two to team up, well, it’s hard to infer too much because the first issue has yet to even ship. All we know is that it has something to do with this Damocles chap.